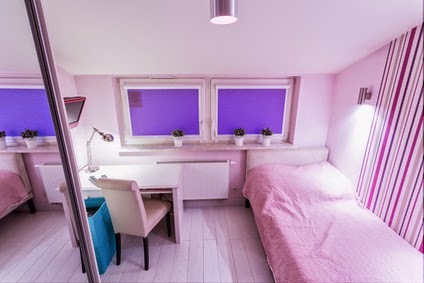 When you have a small bedroom, especially if you also live in a small #apartment, you need to maximize every inch of the room. Sometimes your bedroom has to serve double-duty as an office as well. Check out About.com's suggestions for making the most of your bedroom. If you need a desk in your room, consider putting it next to your bed and using it also as a bedside table. Or maybe you need more storage for your clothing. How about using a chest of drawers as your bedside table? Keep in mind your nightstands need not be identical. In a small room, organization is even more important than usual. By regularly going through your belongings and paring them down to the absolute essentials, you will find it easier to find room for what you do have. Visual clutter like power cords can make a space feel smaller, so take care to organize and hide them. Under the bed is an often-overlooked area for storage. Use bins with lids to store out-of-season clothes, gift wrapping and craft supplies, Christmas decorations, or anything that you don't need on a daily basis. Think of how your furniture can do double-duty: a dresser can also be a standing-height desk, bookshelves can be a vanity, and a chest or ottoman at the end of the bed can be a filing cabinet or store extra blankets. Use a variety of lighting sources to make your room larger, from floor lamps to table lamps to sconces. Make sure you can turn lights on and off individually so you can have lights for working and lights for sleeping. Finally, in a small space, always look to the walls for storage. Picture ledges are great for art and makes the eye look up and visually elevate shorts ceilings. A wall-hung mirror is great for getting ready and reflects light to make the room feel larger. Hang jewelry and accessories on the wall to add color to the room and increase storage. Ready to find an apartment with a large bedroom? Give Austin Apartment Specialists a call today at 512-241-1111. A Downtown Vision Plan was brought before the Pflugerville City Council recently and seeks to make the area a destination for area residents, Community Impact reports. 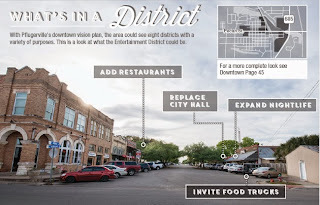 The proposal divides the downtown area into eight districts: The Entertainment District, Office District, Service District, Dining District and Gateway District. It would add restaurants, park space, programs and festivals, pedestrian paths, and streetscape improvements. 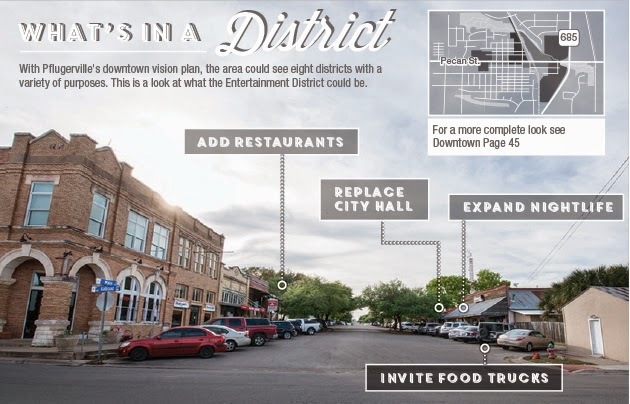 The plan could be financed through a tax increment reinvestment zone (TIRZ), which uses the additional tax revenue from increasing downtown property values to fund redevelopment. There is talk of also relocating City Hall out of downtown, possibly to the Sunshine development near SH 130. Many think that the space City Hall occupies would be better served by a park or civic centerpiece, especially now that so much city business can be conducted online. Ready to find a new #apartment in #Pflugerville or surrounding areas? Austin Apartment Specialists can help! Give us a call today at 512-241-1111. Cleaning your #apartment is probably last on your list of fun things to do. So read on for About.com's tips on how to clean your apartment in 30 minutes! First step is to put on some fun music to make you go faster and take your mind off the drudgery of cleaning. Begin in your bathroom by putting away any items on the tub ledge, sink and on the back of the toilet. 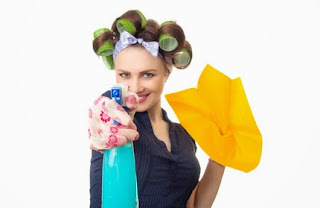 Spray a foaming cleanser all all the surfaces and allow it to work while you do other chores. Wipe down your mirror with a glass cleaner and use the same product to clean any chrome surfaces. Wipe off the foam cleaner, and give the toilet seat and sink an extra good scrub. Be sure everything is put away and close your shower curtain. In the bedroom, make up your bed and put any dirty laundry into the hamper. Take anything else that doesn't belong and put it away. The kitchen will probably need the most attention. First put any dishes that you've gathered from around your apartment in the dishwasher, then wipe down all the surfaces with disinfectant wipes or paper towels and a spray cleaner. Put away any objects that don't belong in the kitchen. The living room is another vital area, as guests will be likely to congregate there. Get rid of clutter and trash, then quickly vacuum floors, wipe down bookcases, tables, and the entertainment center, and put away any objects that don't belong, paying special attention to the entryway. Need help finding an apartment that you will want to keep clean? Give Austin Apartment Specialists a call today at 512-241-1111. While it's great to be a bargain hunter, there are some places where you should spend a little more for quality. Check out Daily Finance.com's recommendations for home items you should splurge on. Mattresses are a place where cheapest is not best. This is something you will be sleeping on almost every night for several years. Back, neck pain, and fatigue are all side effects of a bad mattress. So invest in a mattress that's supportive and will give you a good night's sleep for a long time. While conventional light bulbs may cost less, they also tend to use more energy, which will show on your electric bill. 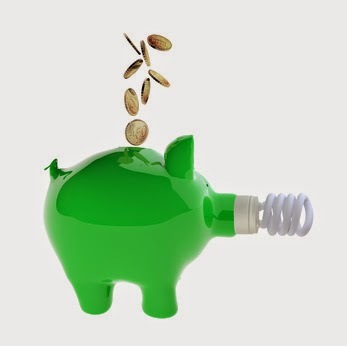 Invest in energy-efficient bulbs that use 75 percent less energy, generate 75 percent less heat and will last 10 times longer than conventional bulbs. Another great place to invest in a high quality product is kitchen knives. A well cared for knife can last your entire life. You also really only need a chef, paring, and bread knife, so invest wisely in the best you can afford. Looking for an #apartment that will bring you happiness every day? Give Austin Apartment Specialists a call today at 512-241-1111.